DOD photograph by E.J. 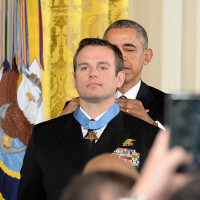 Hersom President Barack Obama presents the Medal of Honor to Navy Senior Chief Petty Officer Edward C. Byers Jr. during a White House ceremony, Feb. 29, 2016. 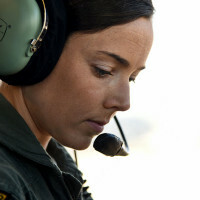 Byers received the medal for actions while serving as part of a team that rescued an American civilian held hostage in Afghanistan in 2012. 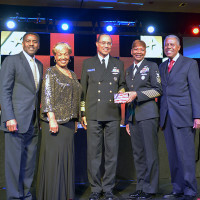 Manpower, Personnel, Training and Education Fleet Master Chief April D. Beldo, a native of Lancaster, Calif., was recognized Feb. 19, as the 2016 U.S. Navy Non-Commissioned Officer award recipient during the Black Engineer of the Year Awards 11th Annual Stars and Stripes dinner in Philadelphia.